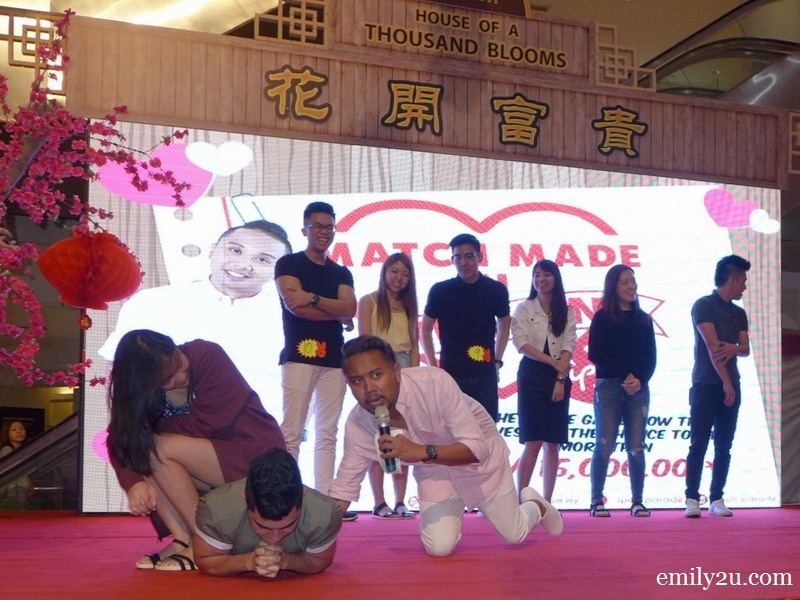 Ipoh Parade played cupid this Valentine’s Day with a one-of-its-kind matchmaking game show, when they brought together five single women and ten single men to try to match three most compatible couples. 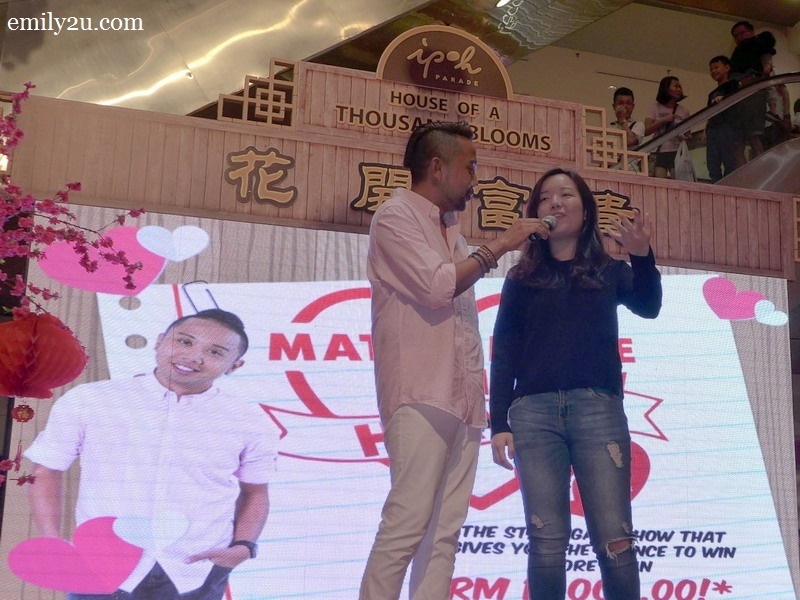 The game show was hosted by local celebrity, Baki Zainal, who injected plenty of humour on stage, putting the audience in stitches. 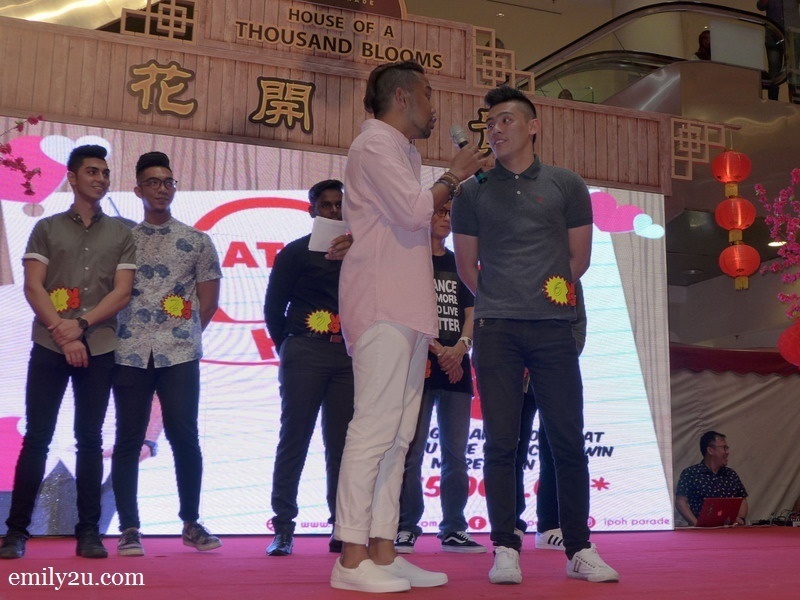 From games like “Banana Catwalk” to “Grab Balls”, “Girls Plank” and “Ice Cream Potong”, indeed it was a public matchmaking show that perhaps none had witnessed before. 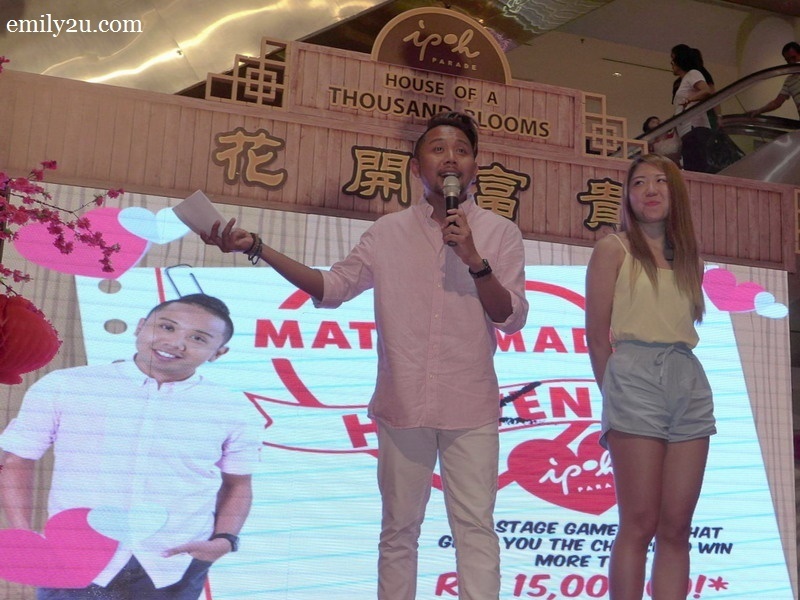 The three lucky couples stood a chance of walking away with attractive sponsored prizes worth a total of RM15,000, with the winning pair going home with RM9,000! At the end of three hours, the champions were declared and they were: Eric and Iris. 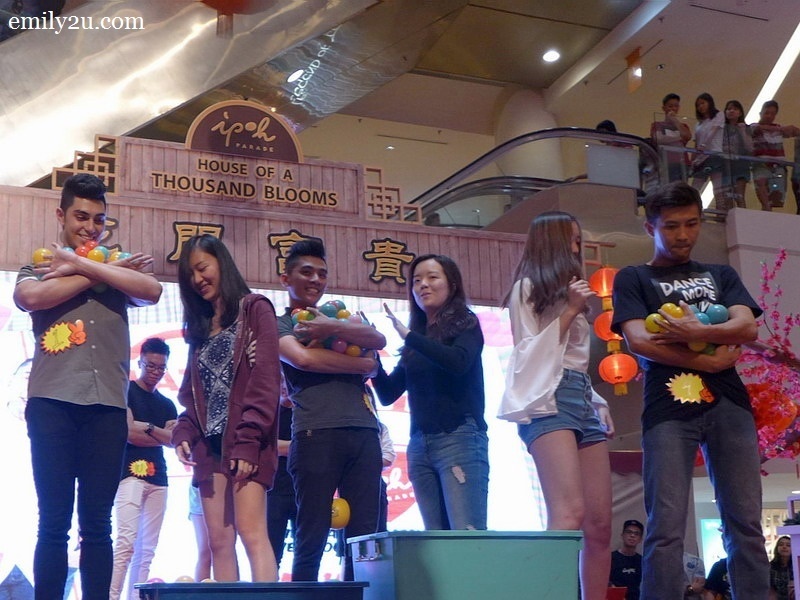 The first runners-up went to Kevin and Cheah Cai Jun while Edwin and Janice took third position. 10. Girls Plank: Who has the strongest back? 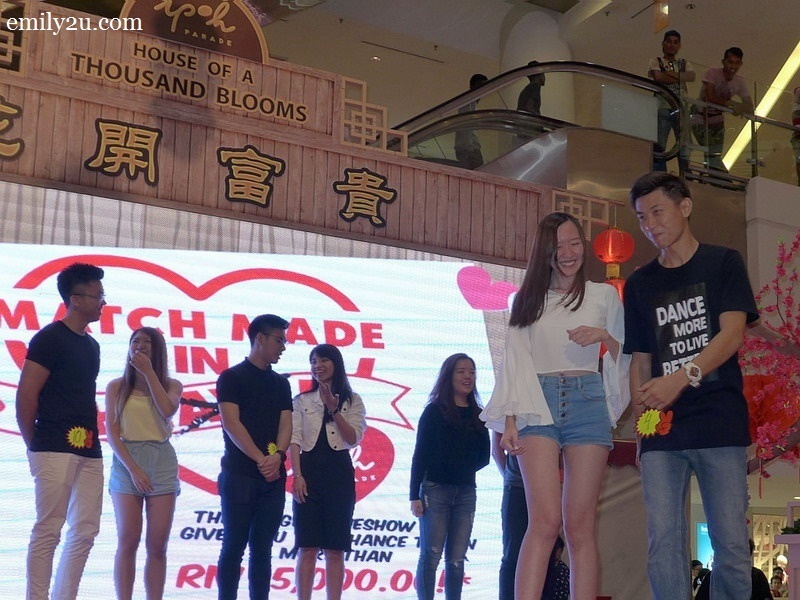 It looked like for these six participants, they can celebrate Valentine’s Day this year and scrap whatever plans they had for Singles Awareness Day (acronym SAD) on Feb 15. 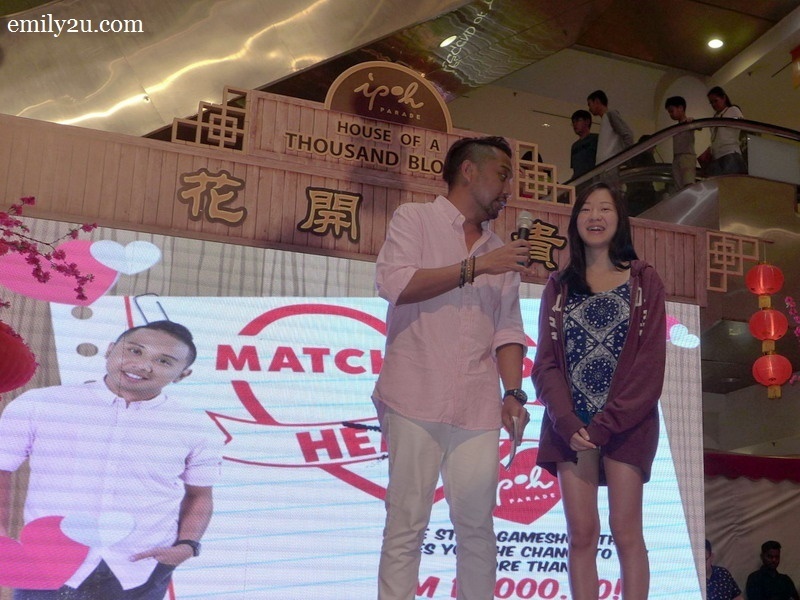 10 Responses for "Match Made in Ipoh Parade"
haha omgg i find this hilarious! 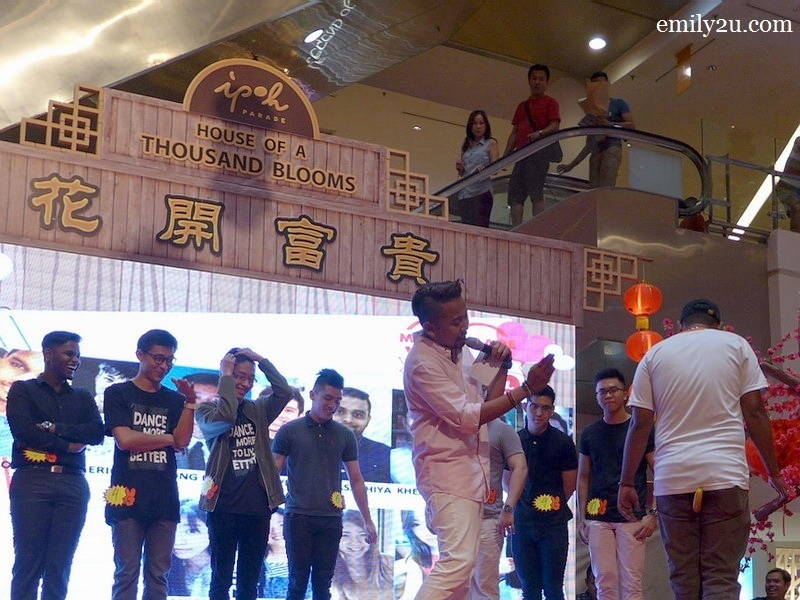 Im sure the contestants had a lot of fun. Could have enjoyed watching them! Looks so much fun. Happy Valentine’s Day to you! Wow these looks fun! And they all enjoyed it. 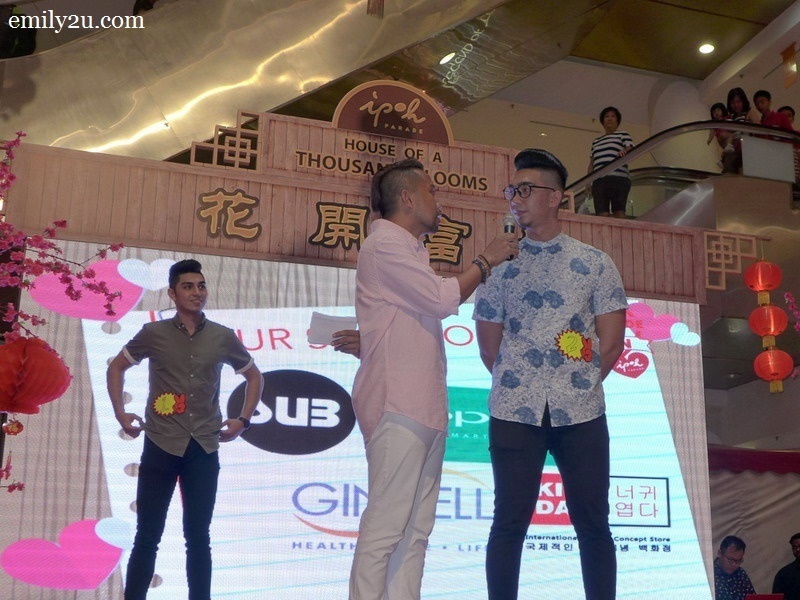 I’ve read some crazy Valentine game in China, and its so crazy our blog will be hysterical, lol scandalous . That looks like so much fun for both the participants and audience! Definitely a great way to meet and interact with New people! This has to be quite an interesting event for those watching and those who are participating in it. Very interactive indeed!